It was another full and dramatic day of action today at Wadi Adventure Park in Al Ain, for the 2nd day of the Abu Dhabi All Stars. With a warm up session for the women to kick the day off, it was straight back into Men’s Round number one, as we picked up with Heat #13 through 16 to complete the first round of action. Stand outs from these last 4 heats of Round 1 were Beau Nixon (Naish) from Australia, using his powerful surfing style to advance directly through into Round 3, but also Kai Lenny (Naish) from Maui, 3 x World Champion, who put on a flawless performance in his first round heat to match Sean Poynter’s (Starboard) highest heat score total for round 1 to tie atop the 1st round Leaderboard. It was then straight into the 1st round of the women, as we saw current World Champion and ratings leader Nicole Pacelli continue with her great form this year, with another strong opening performance here in Abu Dhabi, securing the highest heat score total of the first round. Other standouts were fellow Brazilian Aline Adisaka (New Advance), but also Brazil event winner, the young Floridian Izzi Gomez (Starboard) who is seemingly unstoppable right now here on the Stand Up World Tour. 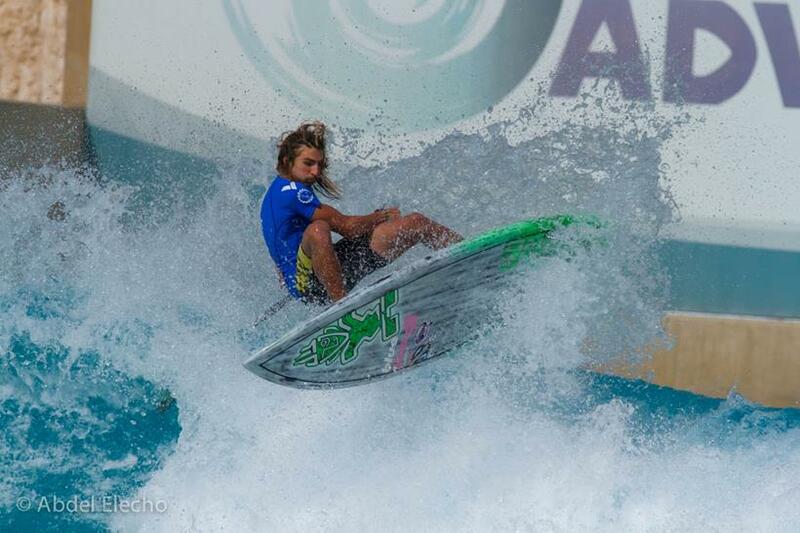 Izzi has won 3 out of 6 events so far on the Stand up World Tour: a pretty impressive record by the young Floridian! The repechage format created a sudden death scenario that provided an exciting extra twist to the event, but that also provided another chance for riders to break back into the running if they fell short in the first round. With 10 heats of 2 athletes (total of 20 athletes), all vying for 4 spots in Round 3, the pressure was on for the contenders to step up their game and put it all on the line for the glory today in Abu Dhabi. 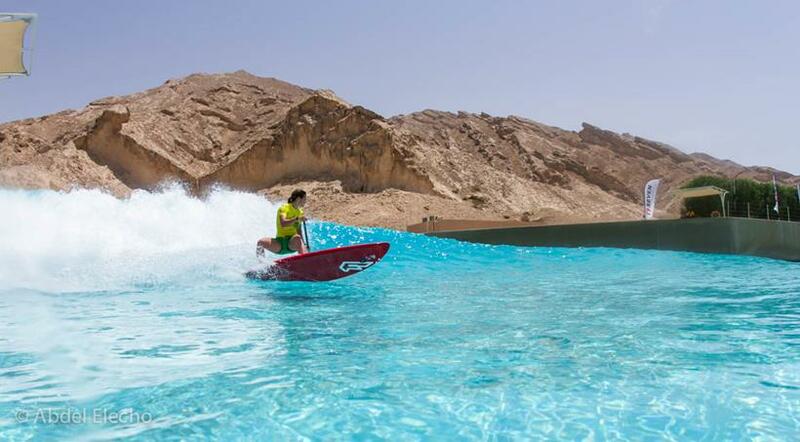 Stand outs in the Repechage round were Giorgio Gomez (Starboard) from Florida, Daniel Hughes from Huntington Beach California and Connor Baxter (Starboard) from Maui, with Remi Quique (F-One), making the final slot advancing through into Round 3 with a solid performance here at Wadi Adventure Wave Pool. With the Top 16 now confirmed, we then went onto decide the final 2 women athletes who would go on to join the Top 6 that had already advanced in the quarter-finals. In the end it was to be Sophia Bartlow who put on a dominant performance and made the cut, followed by the Abu Dhabi All Star from 2013, Olivia Piana (Fanatic) from France. Sean Poynter (Starboard) kicked off the Round in style posting a 7.2 and 7.8, winning his first Man on Man showdown to advance onto Round 3. 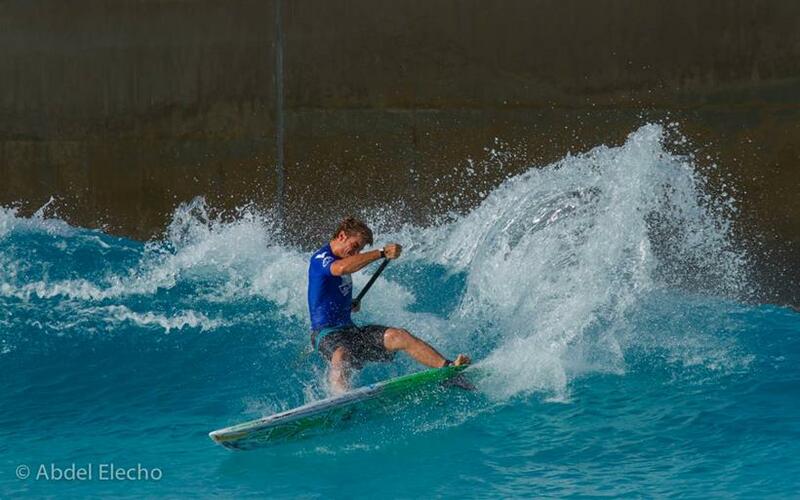 In the 2nd heat, Zane Schweitzer (Starboard), Abu Dhabi All Star Champion from 2013 followed suit, with a high score of an 8.5 and heat score total of 16.3 – an impressive performance from the young goofy footer from Maui. Sean and Zane will now meet in Quarterfinal #1. 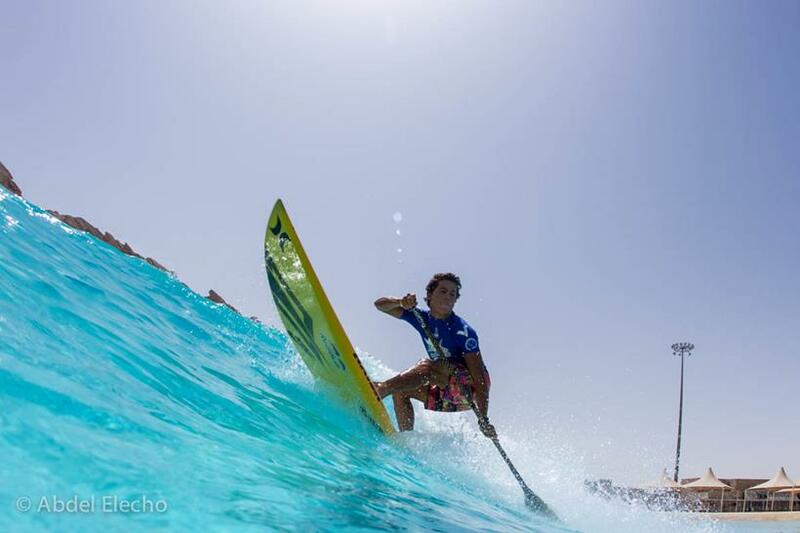 The next heats saw the Brazilian contingent face off, with half Brazilian Mo Freitas (Focus SUP) joining the mix up against 2012 World Champion Leco Salazar (New Advance) in heat 4. 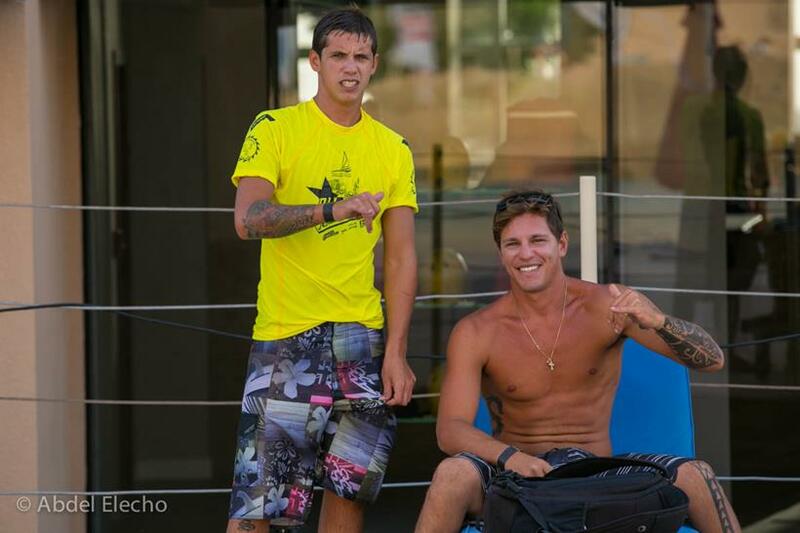 Meanwhile in heat 3, it was Matheus Salazar (New Advance) up against Ian Vaz (Art in Surf). After a stellar first day for the Salazar family on Day 1, it was to be the end of their run, as Ian Vaz linked together some phenomenal turns to take the win in his man on man showdown against Matheus and Mo Freitas, fired all cylinders to post a series of high 7s to take the win in his heat. This heat brought back memories of the epic Ubatuba Pro Final of 2012, where we saw Mo Freitas coming back from a seemingly impossible position to take the win over Leco in the dying minutes of the Final with a 9.7. 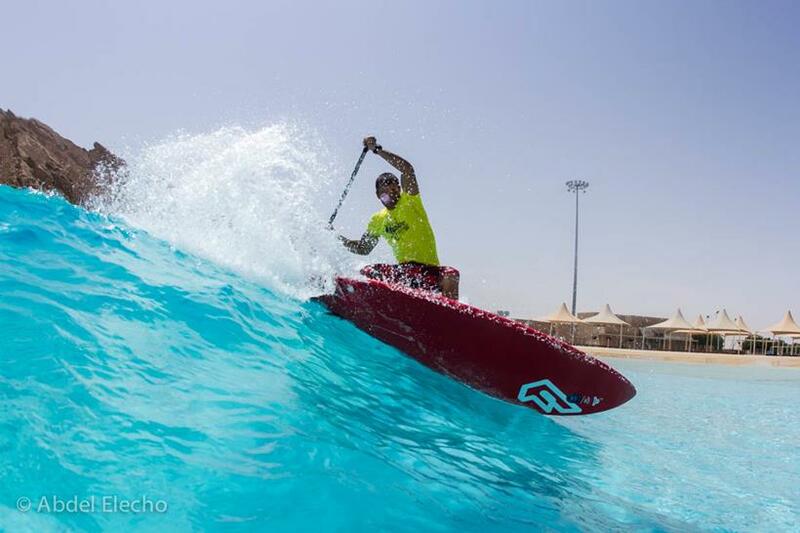 Mo Freitas (Focus SUP) will now face Ian Vaz in the Quarterfinals, so make sure to join us tomorrow at www.watermanleague.com LIVE from the Final Day of action here at the Stand Up World Tour component of the Abu Dhabi All Stars Grand Slam. So that was a wrap for Day number 2, as we now rest up and prepare for action on day 3, when we will pick up where we left off at 9am UAE time with the 2nd half of Round #3, heats 5 – 8. 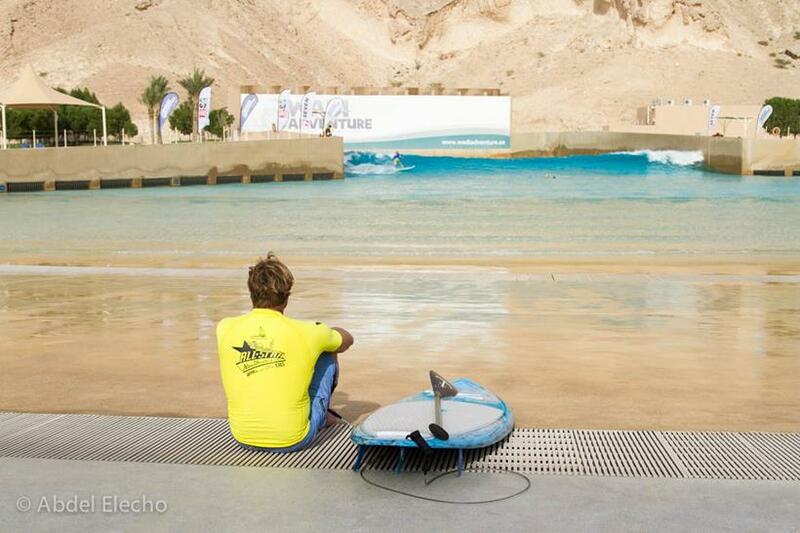 With a stacked line up of athletes waiting to hit the water in the morning, tension is mounting here in Al Ain, as it all comes down to the wire for Stop number 3 of the 2014 Stand Up World Tour. By the end of the day, we will have crowned 2 new Champions for the World Tour Stop (Men and Women) and got one step closer on the journey towards Men and Women’s World Championship Titles in 2014.